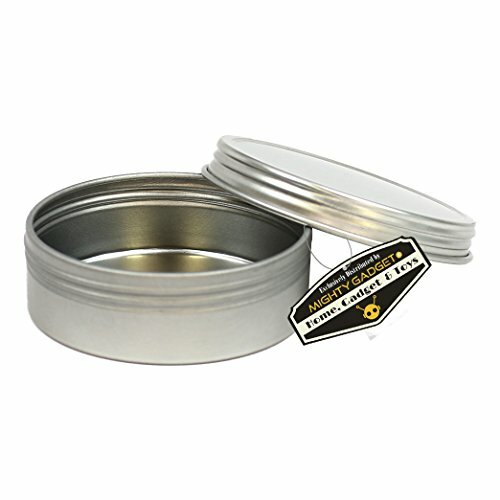 Need accessories to package your goodies in a tin? Mighty Gadget (R) offers a full line of fine tin cans. Our tin containers come with screw-top lids and are made of tin plated steel. Tins have no sharp edges, all edges are rounded and are seamlessly formed from .24mm metal. If you have any questions about this product by Mighty Gadget, contact us by completing and submitting the form below. If you are looking for a specif part number, please include it with your message.